blacklilypie: Lets wreck some something! 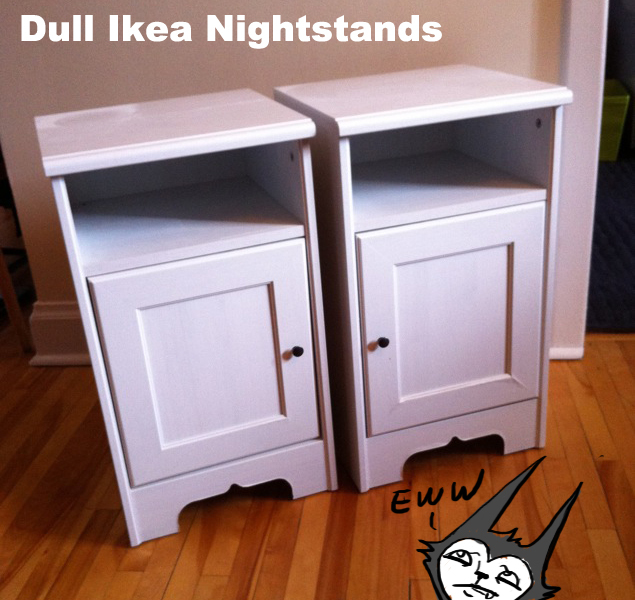 My partner just up and exclaimed that our nightstands were friggan' ugly. I kind of agreed. They are standard ikea ones, a kinda greyish white striated finished laminate. They had also seem better days. Why did we even buy them??! Ugh, so boring. The laminate is peeling a bit from those bottom cut outs too. I peeled off any edges of laminate that were sticking out, glued and filled the edges then sanded them. 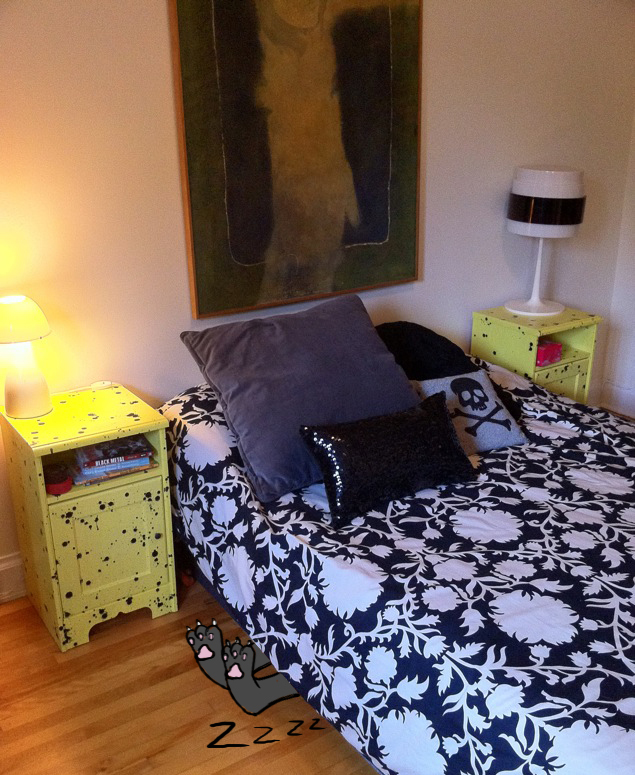 Then I took off the doors and the little shelf. Oh, did you like that subtle, chalky finish? That is great but ohmygosh so dull. 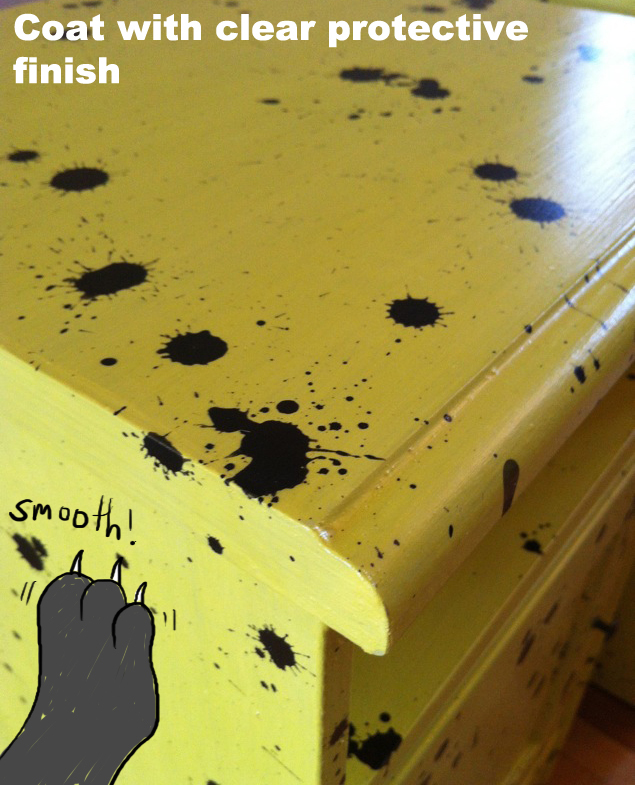 Lets wreck it more by dripping black inky paint on it. 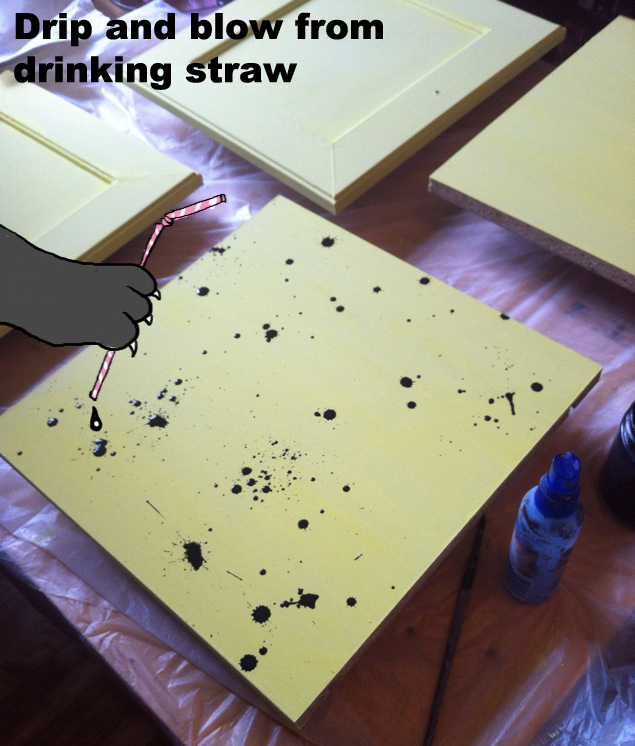 Also use a straw, dip it in paint then blow forcefully through it to get amazing spatters. Let each side dry before moving it. Hey, that is pretty neat actually. Ok, now once it is all dry you have to clear coat it. I used a satin polycrylic with a pretty small brush. 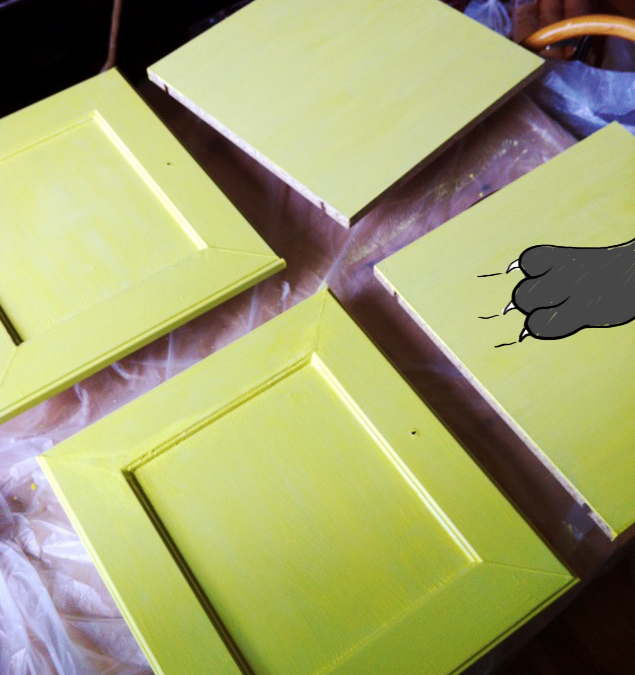 Do a few coats (let each one dry) especially on the top where it will get wear. Ok, they are pretty weird. But they are SO MUCH BETTER than the boring ikea grey joykillers. I didn't even have to change the knobs like I thought I would, because they disappear. YAY. 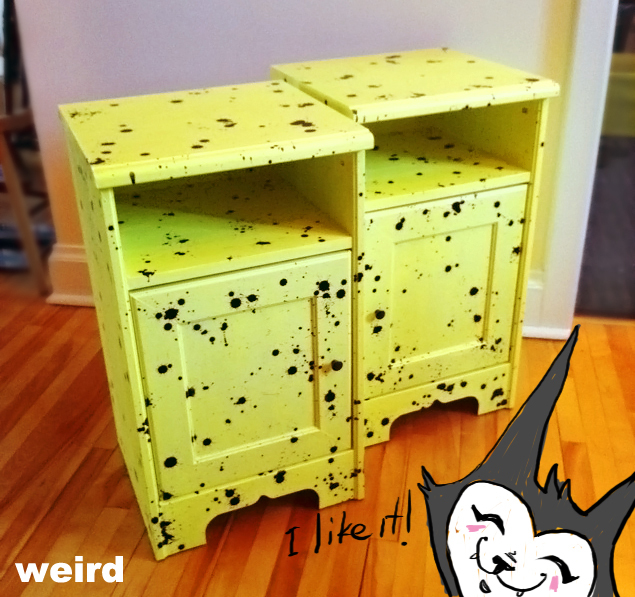 If you are thinking of trying questionable projects, you can't beat using an old Ikea piece as a starting point. Literally every step of this was a disaster, but I pressed on and the end product is super neat!